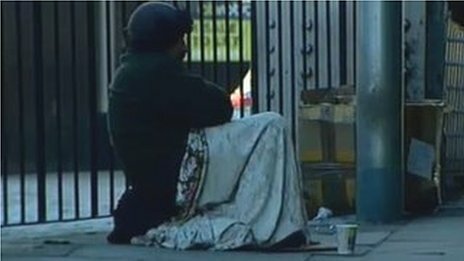 Homeless charities and Liverpool City Council are urging people not to give money to beggars claiming they will spend the money on alcohol or drugs “that could kill”. But what does a former street beggar think of the policy? Tommy Allman was sleeping rough on the streets of Liverpool and was close to death five years ago, begging passers-by for money. 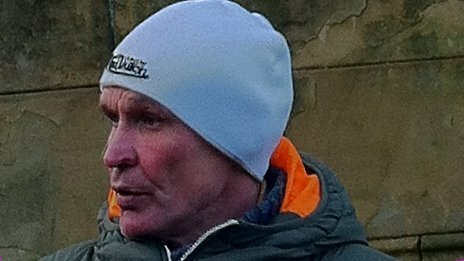 The death of his partner, Bernadette, on Good Friday 2009 was the catalyst for the 49-year-old to turn his life around after 13 years of rough sleeping. Now he works as an outreach manager for the Basement charity and advocates not giving money to beggars. “I never spent a penny of the money I was given while begging on food or clothes,” he added. “It all went on either drink or drugs. Tommy said the death of his partner five years ago spurred him to go into rehab and get clean. He had previously been dry for four-and-a-half months by himself but needed the extra support to be successful. 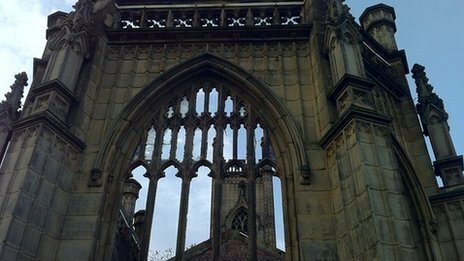 He now tours the street drinking hotspots – the bombed-out St Luke’s church in Leece Street, the Blackie community centre by the Chinese Arch and the gardens near the neo-gothic St George’s Hall – reaching out to those who need help. His colleague Mr Dawson says they are now seeing a lot more young people sleeping rough. “Five years ago, we never saw anyone under the age of 20. Now half of our clientele is under 25,” he said. The bedroom tax and recession have contributed to this, Mr Dawson claims. Most of the problems are alcohol related, as heroin is too expensive. As we pass Lime Street, four street drinkers – two men and two women – are having a furious row. One of the men is holding a two-litre bottle of strong cider. Mr Allman walks over and within minutes has defused the argument, which was drink-fuelled over one of the women allegedly cheating on her partner. He encouraged the women, who had previously been in rehab, to sign up for a residential detox in March. The Your Kindness Can Kill campaign was supported by Liverpool Charity and Voluntary Services. Liverpool City Council says 20 to 30 persistent beggars in the city “refuse” help. Liverpool city council said they had raised “several thousand pounds” in the street collection. The campaign, they said was not about aggressive street begging, but the police have obtained in recent months eight Criminal Anti-Social Behaviour Orders against aggressive beggars. A further three applications will be considered. Getting clean brought unexpected benefits. He said: “I was able to get back in touch with my family. I had not seen my daughter, now 28 with two children, for many years. “The last photograph I had with her she was 12 months old. “When I got back in touch, my daughter had been told I had died four years ago and there I was back in her life. “Reconciliation was very hard and took three years because there was a lot of anger and bitterness from the way I treated my family when I was drinking and on drugs,” he said. Recently, he attended a family wedding at the Liverpool Anglican Cathedral, meeting people he had not seen in years. He smiles at the memory. “I have been at meetings with police officers who I used to know when I was rough sleeping,” he said. He said around 25 or 30 of his contemporaries died of illnesses and alcohol-related problems. He stopped shaving and washing and changing his clothes and lost control of his bowels due to his chronic alcoholism. “There was always a voice in my head telling me that it was still ok, I just needed a drink,” he said.